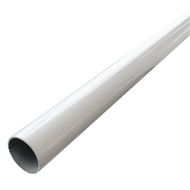 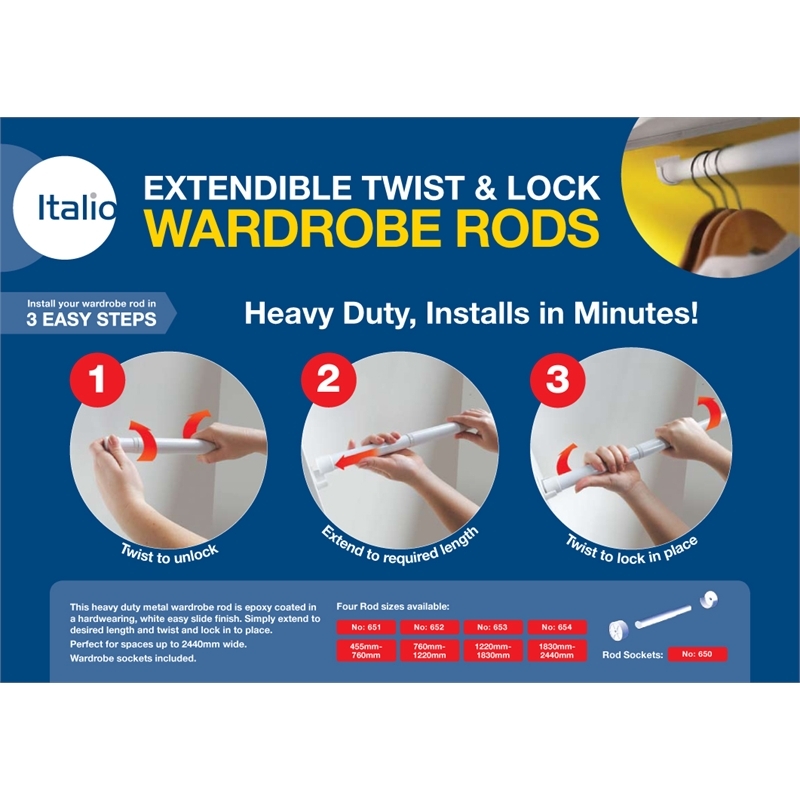 Round powdered coated steel wardrobe rod 1.8m long. Can be cut to size, comes complete with brackets. Smooth finish so it is easy for hangers to slide along.